Kathleen Nace, a board-certified neurologic music therapist and director of patient care services and creative arts program at the Center for Neurological and Neurodevelopmental Health in Voorhees, will deliver the keynote address to 110 Washington Township High School student-musicians who are being inducted, or re-inducted, into the school’s Tri-M Music Honor Society. The ceremony is slated for Wednesday, Feb. 22 at 7 p.m. in the Investors Bank Performing Arts Center. The Tri-M Music Honor Society is the international music honor society for junior high and high school students. It is designed to recognize students for their academic and musical achievements, reward them for their accomplishments and service activities, and to inspire other students to excel at music and leadership. Nace, the current vice president of the New Jersey Association for Music Therapy, has been implementing music therapy services with children diagnosed with developmental disabilities for over 10 years. 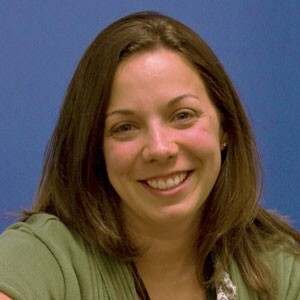 She received her music therapy degree at Elizabethtown College in 2005 and completed her internship at The Maryland School for the Blind in 2006. Immediately after finishing her internship, Nace was hired at the Bancroft School in South Jersey to develop a music therapy program for their elementary and secondary schools, the Bancroft School at Voorhees Pediatric Facility, and the Bancroft Early Education Program. In 2008, Nace received her certification in Neurologic Music Therapy from Colorado State University. In 2010, Nace joined the team at CNNH to assist in the development of a Creative Arts Therapy program. She has conducted research on the effects of music with children with developmental disabilities and is currently designing research studies in the field of neurologic music therapy. She has presented at numerous conferences and been a consultant for parents and teachers of children with special needs.